Regardless of what system is used, learning how to safely and effectively use a microsystem requires more training than just how to hold the device, turn it on, and clean it when you are done. Unlike other microtherapy courses that provide little to no clinical knowledge, the Esthetic Advisor Introduction to Microtherapies course teaches not only the basics of how to safely use the system, but equally important, teach skincare professionals how to achieve spectacular (and profitable!) results. Become confident in using microsystems to predictably treat acne scarring, pigmentation issues, scars from trauma and surgery, stretch marks, and other common skin issues as well as provide the latest age management therapy! IMPORTANT: At Esthetic Advisor Laser Academy, we have developed and copyrighted curricula (including the curriculum above) for physicians and other skin care professionals. 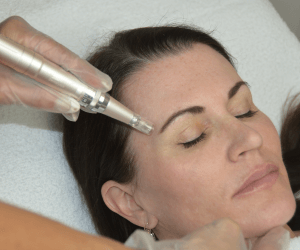 Some of our curricula discuss scientific concepts, images, videos, procedures, and opinions that were intended for physicians who have the ability to use microneedling devices in a variety of expanded functions and procedures. It is essential that all attendees of Esthetic Advisor Laser Academy courses, regardless of licensure, comply with all FDA, state, and local restrictions regarding the use of any microdevice (or any device for that matter) with respect to his/her specific licensing and to the specific indications authorized by any governing body. Esthetic Advisor courses are designed for informational purposes only and Esthetic Advisor Laser Academy, and Esthetic Advisors LLC do not purport to furnish legal advice. This course includes 3.5 hours of didactic and .5 hours of demonstration with complimentary refreshments. To enroll click the “ENROLL NOW” button or [email protected] if you wish to speak with us, call (480) 656-4481 9-5pm PST. EARN $300 per Hour! FIND OUT HOW! Contact us today [email protected] (480) 656-4481! The significant theoretical, practical, and hands-on live patient treatment opportunities provided to the Master Microtherapy Course attendee, allows the skincare professional to feel confident in performing the complex protocols and explaining/marketing microtherapy treatments to his/her clients. Attendees of this rigorous course will receive a Certificate of Achievement. Click HERE to find out more or call us at (480) 656-4481.